Do you hear that? All the money leaving your wallet? 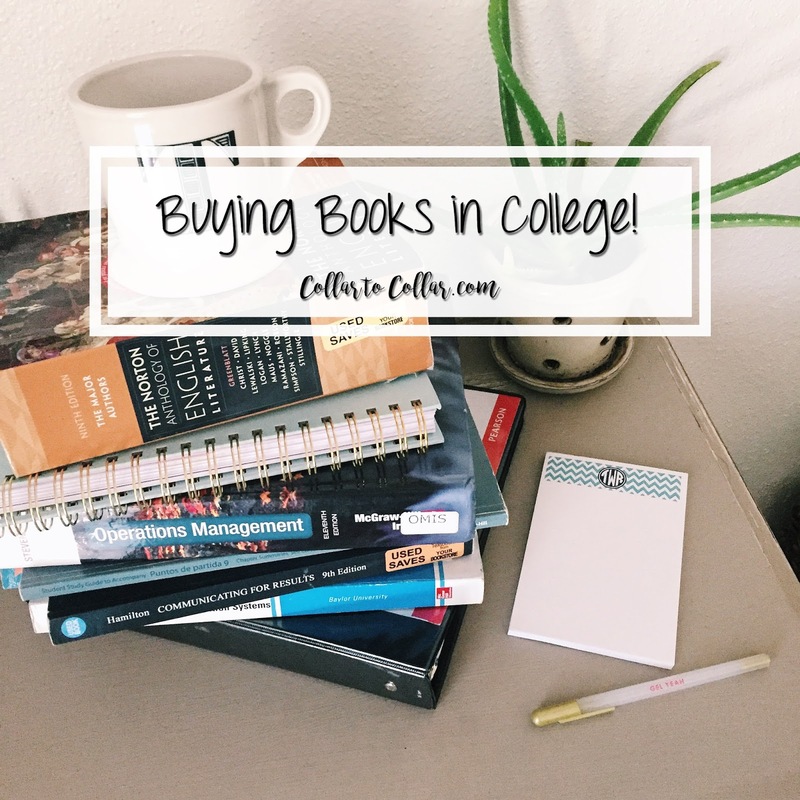 Books are inevitable in college but with these tips I’m hoping you won’t have to spend too much on them. Wait to buy your books! I know there is a list that comes out on what books you need to buy fairly early, but don’t freak yourself out thinking you must have all your books before classes begin. Some professors may not even require that specific book for the course. A lot of professors know the campus bookstores can overcharge and might offer another place to find the book for a lot cheaper. I’m included in a free & for sale group on Facebook that’s all Baylor students. Most colleges have these groups, you just have to find them. Many students sell their old books from previous semesters in this group and sometimes they’ll even give them away! Keep an eye out! My first semester at Baylor I ordered my books in July! Yes. I said July!! All from the bookstore. Let’s just say, it was extremely expensive. I didn’t even need one of them and was thankfully able to return it. The others were offered on other sites to buy/rent for a lot cheaper. I definitely learned my lesson. My two favorite and reliable book sites are Amazon and Chegg. They both offer the renting option which in my opinion, is the best option. If the book you are required to have can’t be rented, I would compare prices to buy. Again, I always buy used. Why do you really need a brand new textbook? Compare Chegg, Amazon, and your bookstore. I usually go with Chegg because they send really fun samples with the books you ordered. I’ve received command strips, laundry pods, and even cool pens before! Another thing that’s nice is, you get a free return label so you don’t have to pay any extra! Amazon also offers something really cool called Amazon Smile. Amazon will donate a portion of the purchase price to your favorite charitable organization. How awesome is that?! If you absolutely have to purchase your books from the bookstore, because let’s face it, sometimes you have to, try to rent your books or buy used. I know some professors require a special version of the text that’s only sold at your bookstore, leaving you with no other options. Most of the time you can snag a used version of the text but other times you will have to drop a nice hunk of money to buy the books new because of access codes. Although, if you are saving on all your other books it won’t be as bad total as it could have been! I hope these tips help you when it comes time to purchase your lovely textbooks!